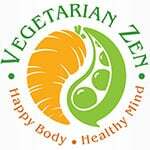 In this episode of the Vegetarian Zen podcast, we’ll be reviewing the documentary Fat, Sick, & Nearly Dead 2 . 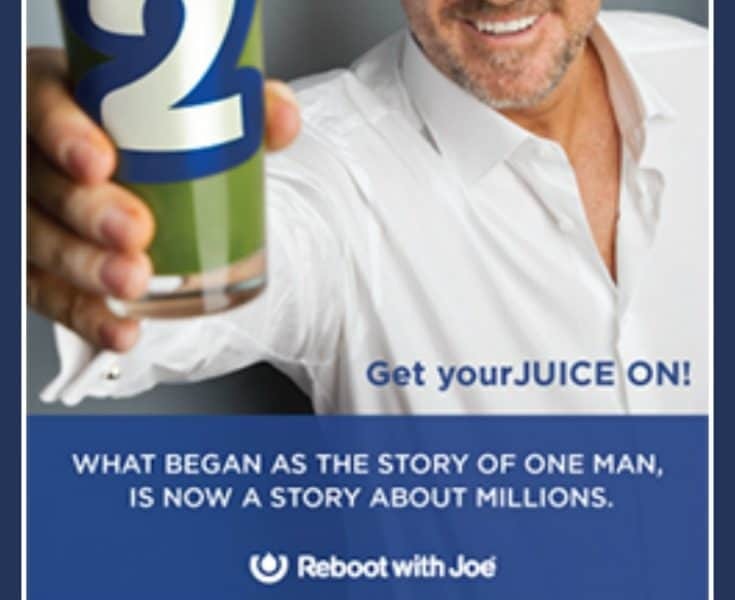 Filmed 5 years after the original Fat Sick & Nearly Dead , this film updates Joe Cross’s progress, features lots of interviews of real people who were inspired to get healthy through juicing, and has more great interviews with health and nutrition experts. It’s a lot easier to change our food environment than to change our mind. Previous Post: « VZ 089: Coconut Oil – Health Food or Hype? Loved the podcast, as always. It makes my morning drive so fun! I have a juicer, and at times I have juiced a lot. However, with a family of 6, it is both expensive and time consuming to juice regularly. I have instead found that morning smoothies are easy to make an everyday routine. I blend 4 bananas, a bag of frozen fruit, a scoop of vegan protein powder, flax seeds, hemp seeds, sesame seeds, and half to two thirds bunch of kale with water and divide this between myself, my husband, and three of our fours sons (the oldest won’t touch it!). This is fast and easy, so yummy, and for me a complete breakfast. Now my day feels wrong if I miss my morning smoothie. Thanks, as always, for all the wonderful work that you do. I am so grateful to have your podcast to listen to. I wanted to add that I began adding sesame seeds to the smoothie after learning on your podcast how nutritionally amazing they are! Thanks for sharing your juicing (and smoothie) experience! Vickie makes smoothies often, using Vega products. If you’re not familiar with Vega, they are plant-based protein powders (and they have great snack/meal bars, pre- and post-workout products, and more as well!). We are Vega affiliates and you can find some good deals from them by using the banner ads in the right side of our website. Thanks again for your comment…you’re the first one to be entered into the Fat, Sick, & Nearly Dead 2 DVD drawing! VZ004 – Juice It Up! Episode 004 should help you understand the mechanics of juicing and which type of juicers are best, but if you have any questions, don’t hesitate to ask! Yes, juicers can be a bit of a pain to clean, but it’s well worth the effort! I love your idea of adding the pulp to your garden. You can also use it in muffins or other baked goods. Yum! Thanks for sharing your experience! Thanks for leaving a comment! We’re glad to have you as a listener. We have an Omega VRT350 and we love it! I wouldn’t put it that you juice “only once per day”. I’d say that it’s awesome that you get a whole nutrition-packed glass of juice every day! As I’m sure you’ve heard us say on the podcast, healthy habits, including juicing and following a plant-based diet, are not “all or nothing” things. Every little thing you do is important, and they all build up to a healthier and happier you! For recipes, have you checked out Farnoosh Brock’s The Healthy Juicer's Bible ? It’s full of really great juicing recipes, plus Farnoosh talks about the best way to juice and other great tips. A bit of a belated comment, but I think reviewing the film was a terrific idea! I would encourage you to record more film/book-themed episodes. I really enjoyed it. On a related note, what do you think about a VZ Book Club? There are so many interesting books available on a variety of food topics. 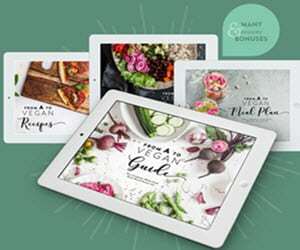 Perhaps a different title (or even veg cookbook) could be discussed quarterly, and in anticipation, VZ listeners could submit questions for discussion. Who knows, the author may even be available to respond to listener questions themselves! Thank you for you good work! Thanks for the feedback about the documentary reviews. We’ve done a couple of them, and a couple of book reviews. I agree with you that we should definitely do more. Are there any in particular you would like to hear us discuss? We have actually considered a VZ book club before. It sounds like a great idea. 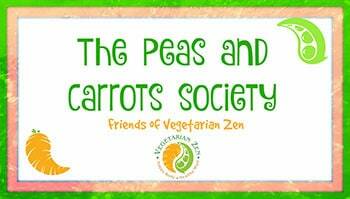 One thing we’ll probably do soon is pitch the idea in the Peas and Carrots Society group and see what kind of interest there might be. Thanks for reminding me!